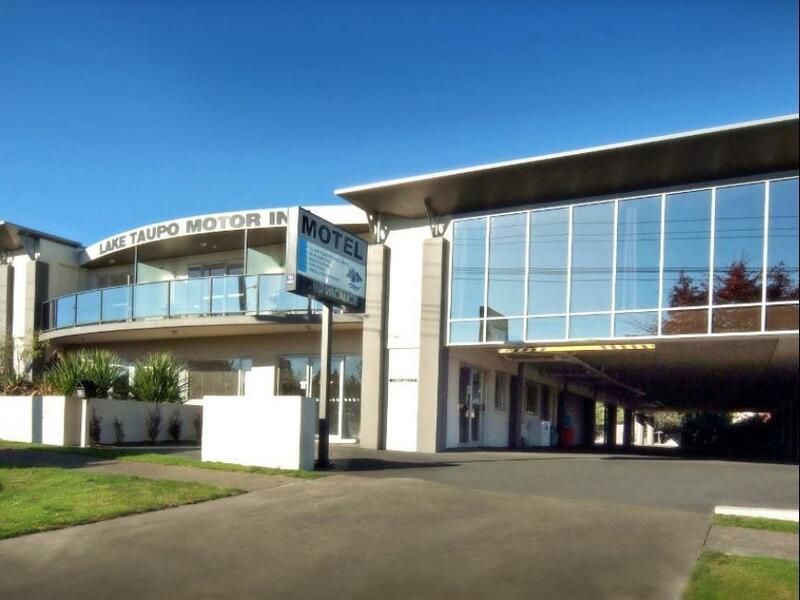 للمسافرين الذين يرغبون أن يعيشو كل ما تقدمه تابو, Lake Taupo Motor Inn هو الخيار الأمثل. يمكن من هنا للضيوف الاستمتاع بسهولة الوصول إلى كل ما تقدمه هذه المدينة النابضة بالحياة. إن سهولة الوصول من الفندق إلى المعالم السياحية الشهيرة الكثيرة في المدينة كمثل ستارلايت سنما, توبو رود اند تاكل, كانو اند كاياك هو استثنائي بحد ذاته. إن Lake Taupo Motor Inn حريص على توفير الراحة للنزلاء، فلا يوفر الموظفون جهداً في تقديم أفضل الخدمات وضمان حسن الاستقبال. يقدم الفندق واي فاي مجاني في جميع الغرف, مرافق مخصصة لذوي الاحتياجات الخاصة, تخزين الأمتعة, واي فاي في المناطق العامة, خدمة الغرف لضمان الراحة القصوى لضيوفه. 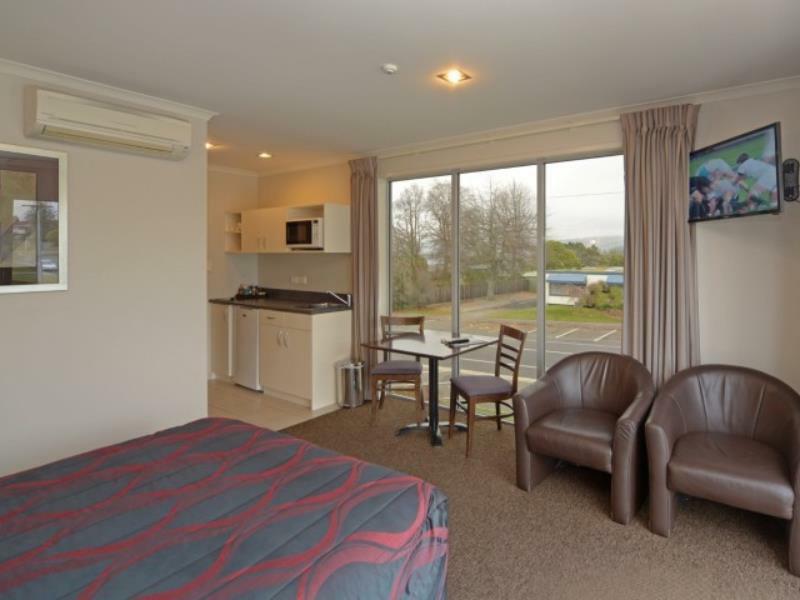 في Lake Taupo Motor Inn غرف نوم يزيد عددها عن 32 صممت بذوق وعناية لتوفر لك كل وسائل الراحة . بعضها يحتوي أضاً على تلفزيون بشاشة مسطحة, مسبح خاص, اتصال لاسلكي بشبكة الإنترنت (مجاني), حوض الاسترخاء, غرف لغير المدخنين. يمكنك طلب اللائحة الكاملة للخدمات في الفندق ومن بينها حوض استحمام ساخن, حمام سباحة خارجي. إن كنت تتطلع إلى إقامة مريحة وهادئة في تابو، فستجد في Lake Taupo Motor Inn بيتك الثاني. Pros-not expensive, good location, clean and convenient. Cons-We heard a bit of noise from upstairs, a few guests took off at 5am so it's seems like a travelers Motel. Our one criticism would be the mattress, which was soft and every movement could be felt. 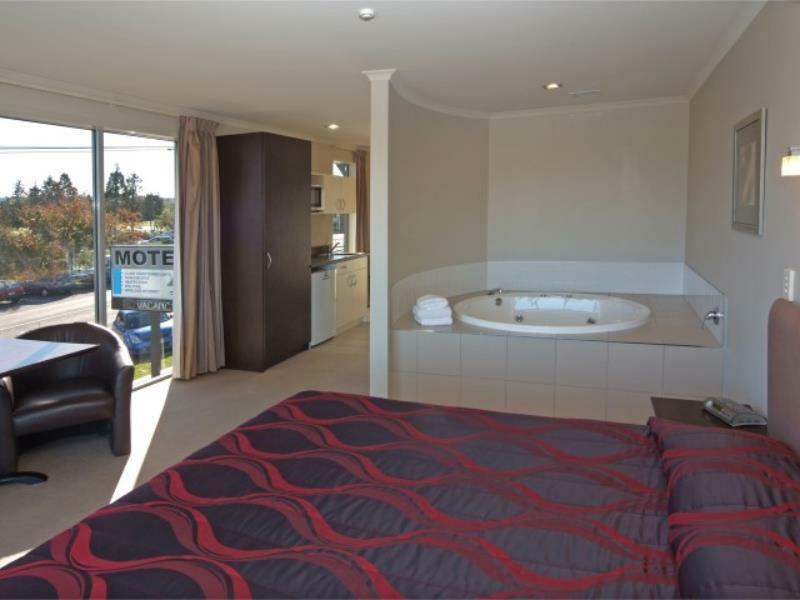 We arrived to a wet and cold Taupo weather welcome, but the reception here at the motel help to lighten the mood and immediately felt at home. They know their stuff, recommending great local restaurants and cafes, with contact details and popularity to know if we should book a table or not. Rooms are clean, bright and cosy. Well laid out furnishings, convenient well equipped kitchenette, cosy lounge and spacious enough rooms. Haven’t seen outside yet because it’s been rainout the entire day but hopefully might clear up tomorrow for us to explore the motel and Taupo. We stayed in room 119 - spa room. Spacious room with fantastic views of the lake and mountains. Room was clean and the bed was very comfy. Our hosts Christine and Ross were very friendly and provided lots of information of the area and surrounds. 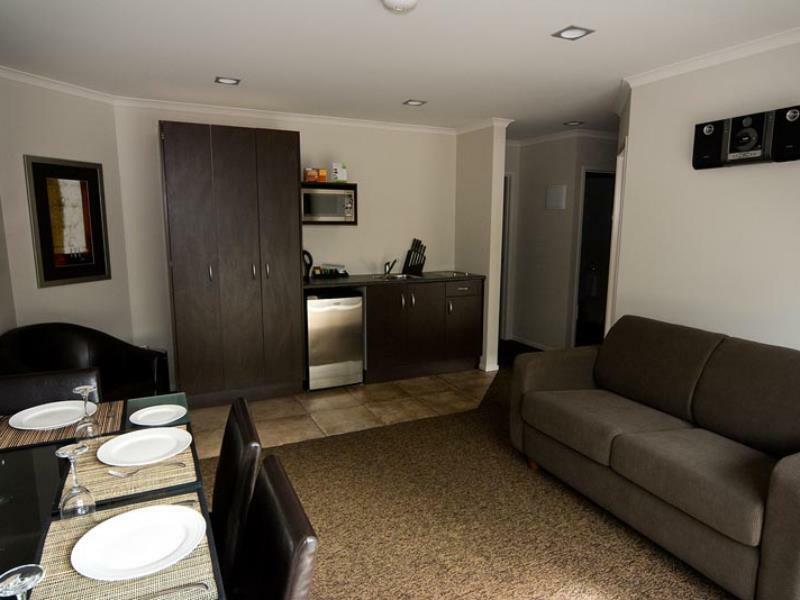 Our family also stayed in one of the two bedroom family rooms which were also great, spacious and comfortable. Would recommend this hotel with no problems. Great place to chill and relax. 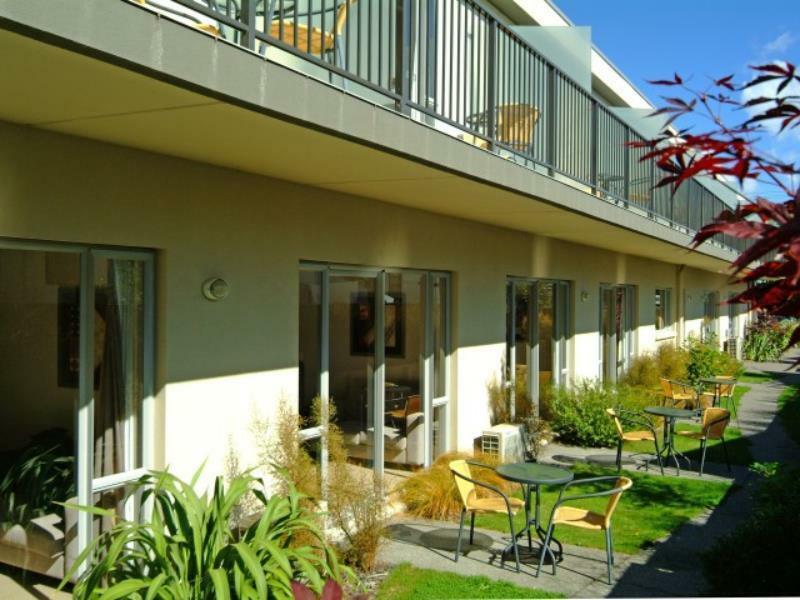 Very good restairants nearby, all walking distance. Modern and clean motel. Nice in room spa, Mattress was king size, but way too soft. Very quiet location. We checked in to a unit with 2-bed rooms for the family and requested for a refund of the other unit but the owner informed that they were unable to refund as the proceeds were from Agoda. Written to Agoda on the fund but was not accorded even the owner had acknowledged that we occupied only 1 unit. Otherwise the stay was pleasant but was unhappy over the double charge. Maybe Agoda should verify with the owner and look into refund for customer service level satisfaction. I've been a long time user of Agoda and hope for the refund as a matter of principle. Had a lovely stay here. The new owners were very friendly, helpful and accommodating. The rooms are good size, exceptionally clean. The master bed needs upgrading but the two single beds were very comfortable. Security was not an issue as the lighting all around the Motel was very good. Wifi was also very good. Stayed here for three nights on holiday. Enjoyed close proximity to town, restaurants, and shops. Loved the friendly staff! Super short walk to beautiful lake! We enjoyed our stay. The room was large and well maintained. The location was good, about a 400m walk into Taupo central and aboout 150m walk to Lake Taupo. Only gripe of the hotel was that the bed was soft and too springy. Nice place to stay overnight with the family. Air conditioned which made a big difference in the summer heat. The staff were polite, helpful and welcoming. We also noticed the old Lotus parked in the owners garage - very nice for us car people. Close to lake and good service. This was a quick stay for us: arriving in the evening and leaving first thing in the morning. The reception was friendly and efficient. Lots of parking spaces, a very well appointed and comfortable suite. We enjoyed our sleep. The room is clean and it's near the lake and town area! Great stuff, would love to stay there again! Facilities is old,the room is dirty..not good to stay..